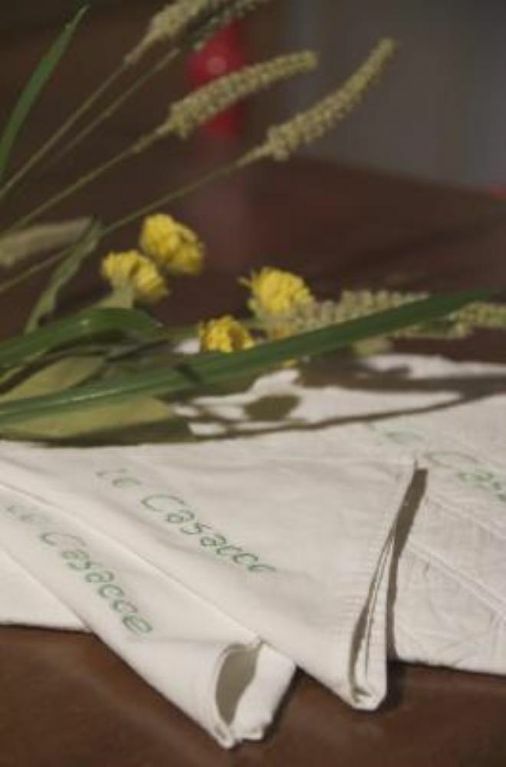 Le Casacce is a family run resort immerse in the very near Florence's country side. Several units are completely independent and furnished in the tuscan rustic style. A fully automated gate leads to private parking spaces wich are located just in front of each apartment. A walk up maisonette outfitted with wood burning oven, and a loggia with acces to the swimming pool, represent the common area designated for organized parties and small banquettes. A laundry room increases the variety of the offered servicies. Thanks to its strategic position, Le Casacce offers the ideal solution for travelers looking for a base for their excursions in the near Florence (15 Km from the center and 15'-20' minutes by car) and in many other tuscan cities such as Empoli, Prato, Pistoia, Siena and Lucca, even those easily to reach. Furthermore, professionals looking for a temporary accommodation by the florentine industries, will find an alternative choice to the chaotic hotels in the cities. Apartments (IL FIENILE, LA CANTINA, LA TINAIA ) are furnished in a tuscan rustic style. Each one is heated independently and has got its own telephone, satellite tv, its own safe. Wake up call service is also available. The kitchen is completely furnished and equipped with fridge, dishwasher, oven and fitted kitchen, tableware. Every flat is provided with bathroom with shower room. In the garden you’ll find a table, chairs, parasol and barbecue. Lasting time about 15’ minutes in normal traffic condition. Take the exit Firenze Scandicci - take the country road named FI-PI-LI (Firenze-Pisa-Livorno) towards Pisa/Livorno - take the exit Lastra a Signa - turn right on S.S. n.67 and procede for 2 Km. A the second traffic light turn right over the bridge. Follow the road for about 700 mt up to a very low underpass (be careful if you’re driving a camper or a roulotte). Take left immediately after the underpass and follow the railway (it will be on your left side). Follow this road for about 4 Km. You’ll find directions for “Le Casacce”. Lasting time about 25’ minutes in normal traffic condition. You can easily reach Florence by train from Signa. Signa Train Station is about 5 minutes by car from Le Casacce. In Signa near the train station there is a big parking free. Trains to Florence Santa Maria Novella every quarter, arrival in Florence in 20 minutes.